Michelle Obama’s visit to Oprah’s Hawaii compound has crippled the neighborhood around O’s home … and some neighbors are pissed. Some of the residents and business people around Oprah’s palatial 12-bedroom Maui estate — where Michelle recently retreated to spend the last few days of her 40s — are all telling the same story … Michelle’s visit is making day-to-day life almost impossible. The owner of nearby Goble’s Flower Farm tells us … security checkpoints have been set up on the roads … blocking customers from shopping there. Other business owners complain they can’t stock their shelves because road closures have screwed up their deliveries…. Hmm, well if Michelle is not messing with food for her 50th birthday party, the neighbors can eat crackers. The elitist has told those she invited to her 50th birtthday party to eat before they come, food is not on the menu. FLOTUS taking that Let’s Move agenda which has proven a failure in public schools a little too far, you think? …The coterie of invitees received the email for the event, with strict guidelines to wear comfortable shoes, practice their dance moves and arrive with a full stomach — a directive that has left some etiquette experts scratching their heads…. The self-dubbed mom-in-chief turns 50 on January 17 and will hold her food-light celebration the next day, likely in the White House East Room…. So what of the lay-offs that are sure to take place at the businesses who are suffering capitol loss courtesy of FLOTUS’ vacation with fellow elitist, Oprah and company. Will Oprah buy her neighbors, business owners and staff new cars to easy that suffering that neighbors and businesses have been forced to endure? Obama’s the Father of Miriam Carey’s Child? 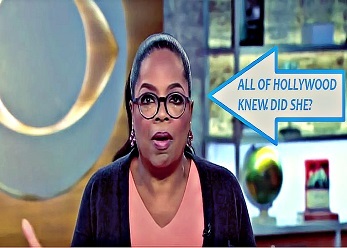 – The Al Sharpton Connection; Oprah MIA. 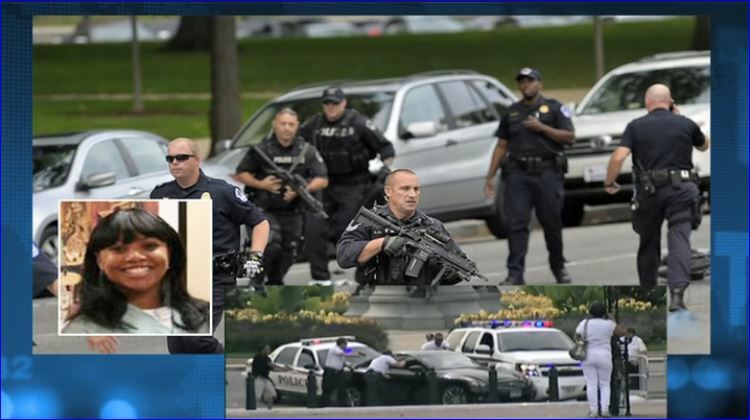 Reverend James David Manning reports that he has been contacted by Valarie Carey, the sister of Miriam Carey, the woman murdered in Washington DC by the Capitol Police. Valarie Carey is a retired New York City Police sergeant…..
Beck is only half-right. Oprah does get it. However, Glenn has missed something here. Oprah admitting that she hated signing over checks to the IRS was just being honest. On the one hand, many Americans have no problems writing checks to the IRS. On the other hand, there are those on the left AND the right who despise writing checks to the IRS. Some are just more honest about it than others. Many on the left and right who write checks to the IRS do so without bitching but it is not for lack of wanting to. Now back to Oprah. First off, Oprah has a fan base that she must play to when speaking publicly. She is no different from any other celebrity, actor, singer, artist, etc. They have their fan base and even if they do not share the same values as their fans, they often play up to their base in order to maintain their success and popularity. Case in point, there are many Black and Latino actors, comedians, musical artists out there whose fan base is extremely liberal. Some of these artists/celebrities are Progressives themselves while many are not. Those who are not liberals keep their political and social standings to themselves, as they are entitled. Many famous Black and Latino American artists were once liberals. However, money, power, education, success, life and paying higher taxes have enlightened them. Some of these artists eventually reach the conclusion that being a liberal is not the be all to end all but they cannot afford to share such revelations without the threat of losing their fan base, lifestyle, money and acclaim. Therefore, they play the game. I am not fitting Oprah into this mold. I am just stating a fact. All is never as it appears to be which is why we must remain vigilant and focus on both hands at all times.